The ‘Slim’ in the moniker refers to the 1.715″ neck width at the nut, which is a mere 16th of an inch wider than our standard electric guitar nut width. If you do most of your playing on a guitar with a fairly narrow neck (most solid body electric guitars) this is the ACS-SA for you. 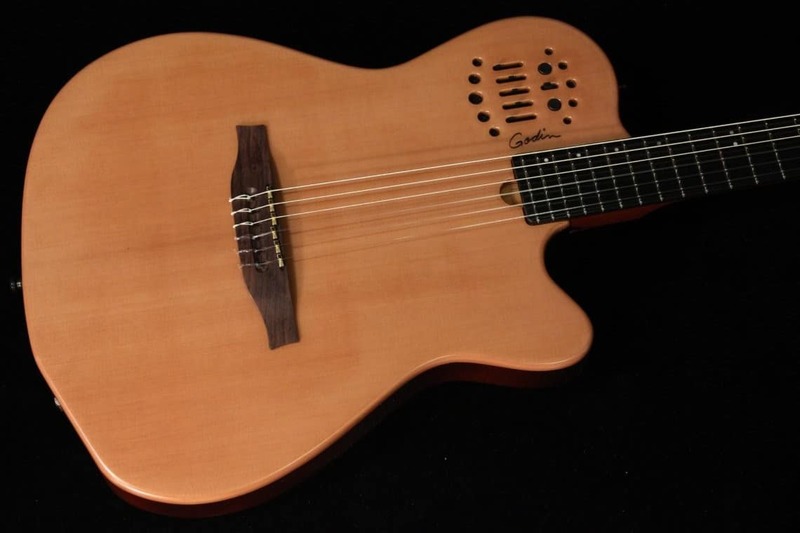 The slim neck of this guitar along with our Ergocut shaping technique and 16″ fingerboard radius provide for a very easy transition for steel string guitar players looking to integrate nylon string guitar sounds into their music. Aside from the new neck, the ACS-SA Slim shares all of the same features that have made the ACS-SA an industry standard. The chambered, silverleaf maple body with a cedar top results in an instrument that is virtually free of feedback, making it easy to use even in loud stage situations.